Social Patterns is a WordPress Web Design Company located in Sacramento, CA. 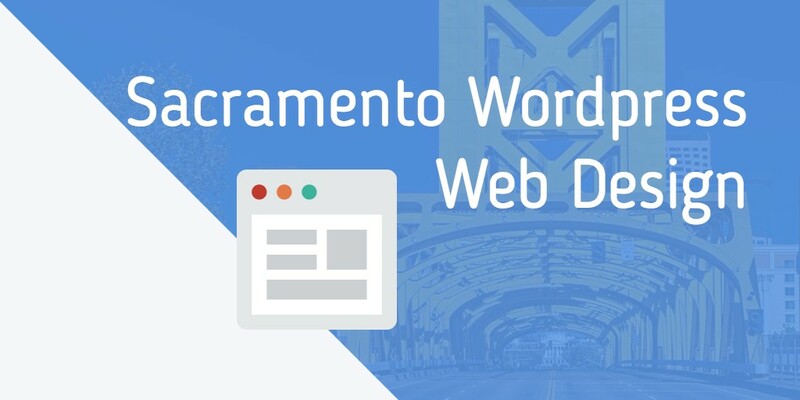 We offer WordPress Website design and development services to Sacramento, Roseville, Rocklin, Granite Bay, Auburn and the Greater Sacramento Area. It doesn’t matter though if you are located here locally near Sacramento, or clear across the country, we can work with you to develop a stunning website. Whether you need a simple business website or a complex e-Commerce solution, we can create a WordPress website that fulfills your business’s goals. Our custom website design team and our workflow has allowed us to do a fantastic job in designing a website that not only looks beautiful and is highly functional, but the web design projects also meet your time and budget objectives. Great Design: Business owners want a website that looks good and presents an excellent image. Functions Properly: They also want the website to function properly, so that there are no issues (minimal bugs). Great Functionality: One other thing they want is different functionality. For example, setting up a pop-up to capture emails, for email marketing. WordPress addresses all of these needs that business owners have. When we develop a custom WordPress website, you get the benefit of having a world-class content management system, and in broader terms, it is a robust web application for many purposes. WordPress is such an amazing platform for building websites. It essentially allows us to create a website that would normally cost you $10,000+ for a team to code by hand from scratch. We’re using a foundation of code (WordPress) that thousands and thousands of people have invested millions of hours in developing. It also continually evolves by the day. This crowdsourced base of code, allows you to benefit from world-class software and functionality. Essentially the way it works is, we are building a custom website for you, and we are using WordPress as the underlying content management system that powers the site. A content management system just helps make it easier to publish blog content, and it allows for more functionality of your website. If web design were a car, the custom website is like a paint job on top of a brand new Ferrari. The engine inside is the WordPress content management system, which gives your website a supercharged motor to propel your business! The future of websites and website design, in general, is to use an open source CMS (like WordPress) to run your website, and to build custom websites on top of. At the end of the day, using WordPress allows us to create great looking completely custom websites THAT ALSO have incredible functionality. Also, because we also use powerful WordPress frameworks to build our custom websites, they are going to have more stable and better code, better SEO performance, are quicker, more secure – all this without costing you an arm and a leg. Gone are the days of single page HTML websites. In today’s business environment, because of the evolution of the web, is increasingly important to have a website that only looks good but is highly functional. Over time the major search engines like Google have become much more sophisticated. They are so sophisticated that they can interpret a users behavior on your website to gauge how satisfied that user is when visiting your site. Since we are in an age where design is attributed to professionalism and good companies, people expect to see a well-designed website. Otherwise, they may view you as somewhat of an amateur in your industry. Having a well-designed website is more likely to engage the user when they land on your website. Google notices this and will Take this into consideration, along with many other factors to rank your website accordingly. Beyond the user satisfaction metrics that Google looks at, there are also some very Factors of web design that influence your SEO and search engine rankings. Though Google and other search engines have evolved dramatically over the years and have become very sophisticated, we still need to make it as easy as possible for the search engine bots to read our websites. The way we do this is to have easily readable website code and a fully optimized website. Here at social patterns, every website that we design, it will be fully SEO optimized and the website code and website performance are Seo optimized. We all know that first impressions are incredibly important. When you first meet a customer or client, you’re going to be dressed nicely, how smiling face and have a friendly attitude. This is common sense, and any employee who does the opposite may very well get fired. Your website is no different. In fact, it could be argued that your website is more important than this because it is accessible to potential customers and clients 24 hours a day 365 days a year. It is your full-time salesman, And it is the face of your company.